how can i add personalized detail to a form before emailing it? For example, I created photography contracts. I would like to be able to type in the agreed upon date and time of the photography session before sending it to the client. How about prepopulating the form with details before sending the link to the client. 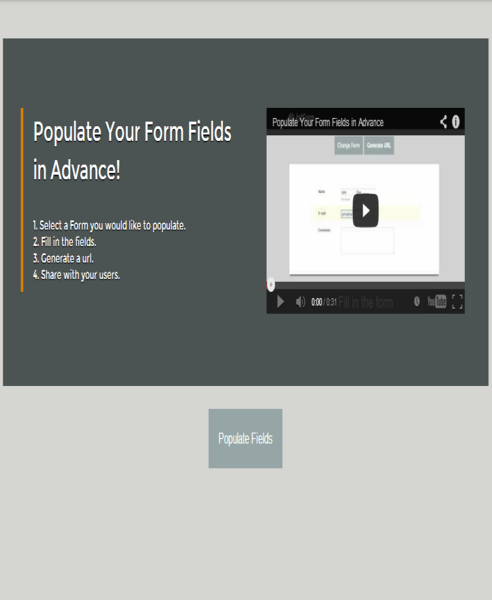 You can use the JotForm Field Prepopulator App to pre-fill a field in the form before sending it to client. Hope this help. Let us know if this cannot work for your requirement.